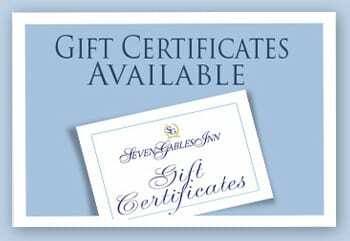 A variety of the finest accommodations are offered at Seven Gables Inn in Pacific Grove, CA. There are 25 guest rooms located in seven buildings to cater to every taste. Our comfortable boutique hotel rooms are beautifully appointed with an eclectic collection of fine furnishings. Eleven of our guestrooms feature exceptional gas or state-of-the-art electric fireplaces. Every guest room at our seaside, oceanfront boutique hotel features breathtaking views of the Pacific Ocean, Monterey Bay and Monterey Peninsula, as well as the lovely gardens surrounding the Inn’s buildings. The price of the hotel room you choose is dependent on the size of the room and the expanse and panorama of the ocean views. The Main House features six rooms in the original 1886 three-story historic home. The house is filled with exquisite antiques highlighting the classic Victorian architecture of the home. Our Arbor/Garden Cottage has two rooms, the Arbor Room upstairs and the Garden Room downstairs. 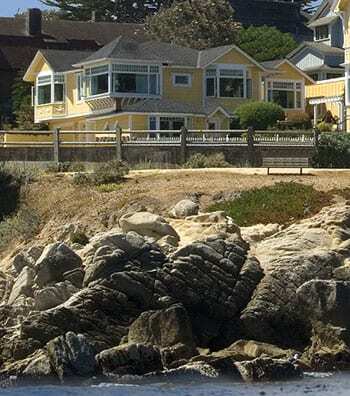 This two-story cottage has a breathtaking view of both the gardens and the Monterey Bay. Also enjoy the private, stand alone Carriage House in the garden area as well. Step just outside the doors and take a relaxing stroll into the peaceful Seven Gables gardens. We have ten wonderfully decorated guest rooms for our guests to enjoy located on three floors in our Beach House. 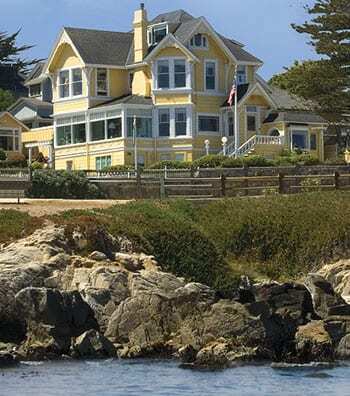 The magnificent Pacific Ocean views from the Beach House explain why Seven Gables Inn was voted one of the 10 most romantic inns in America. There are four rooms in the Guest House building. 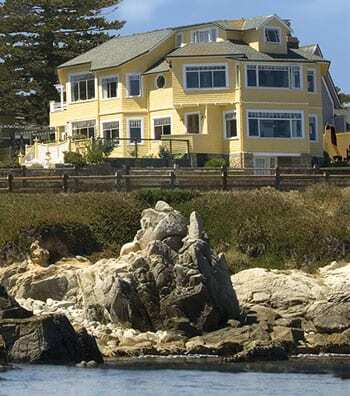 The Guest House features four of our largest guest rooms with spectacular ocean views and stained glass windows.